Update: Splatoon's presence on yesterday's Nintendo Direct had a great soundtrack and attractive visuals, but it was light on actual details. Luckily, those details, like what exactly is ver. 4.0.0, are now online and the changes are mostly focused on Splatfests. Solo and Team modes are being replaced by Normal and Pro. Normal, as its name implies, is pretty much normal Splatoon. Nintendo describes Pro mode as being, "for those who want to go solo and push themselves to the limit." You can read more details straight from the blog below. In Pro mode, you’re judged on your Splatfest Power. Raise it high enough and you could make it into the Splatfest Top 100! In this mode, you increase your clout by beating the opposing team. You get more clout for beating teams with a higher Splatfest Power. In addition to the above, 10x Battles will be added in both divisions. These are rare matches that will occur if you are lucky, and if you win, your contribution points will be multiplied by 10! And believe or not, there is a rumor that super rare 100x Battles could also occur! If your friend wins a 10x Battle or if someone wins a 100x match, teams may appear on the big screen in Inkopolis Square. Also, if you’re in the lobby or during matchmaking, such information will pop up on your game screen like a news flash. 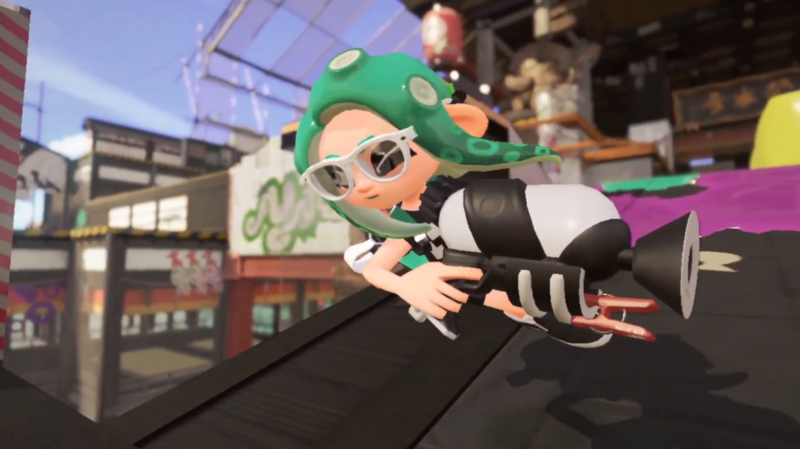 Splatoon 2 is getting an update that includes new weapon sets, Splatfest changes, and additional sub and special weapons. Ver. 4's changes kick off tonight with the addition of new weapon sets part of the Kensa Collection. New sub and special weapons, as well as fresh features to Splatfest events will be implemented soon.